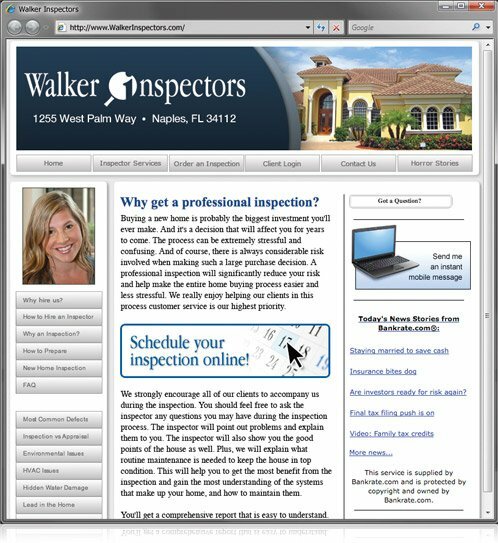 Inspector XSites are much more than inspection business websites. They’ve got the built-in power to get you more business, cut your expenses and make you more efficient. Plus, they'll give your business a high-end first impression, with the ease of use and instant personalization of a template site. Plus, you’ll get features no one else offers: A custom online inspection order form, an online calendar for clients to schedule appointments, XSites Mobile for instant notifications on your mobile device, instant ".com" setup, and so much more. But don’t just take our word for it. Click here to buy now and try it for yourself today. You’re backed by our 100 day money back guarantee. If it doesn’t work for you, we’ll refund every penny. Buy online now or give us a call at1-800-ALAMODE.